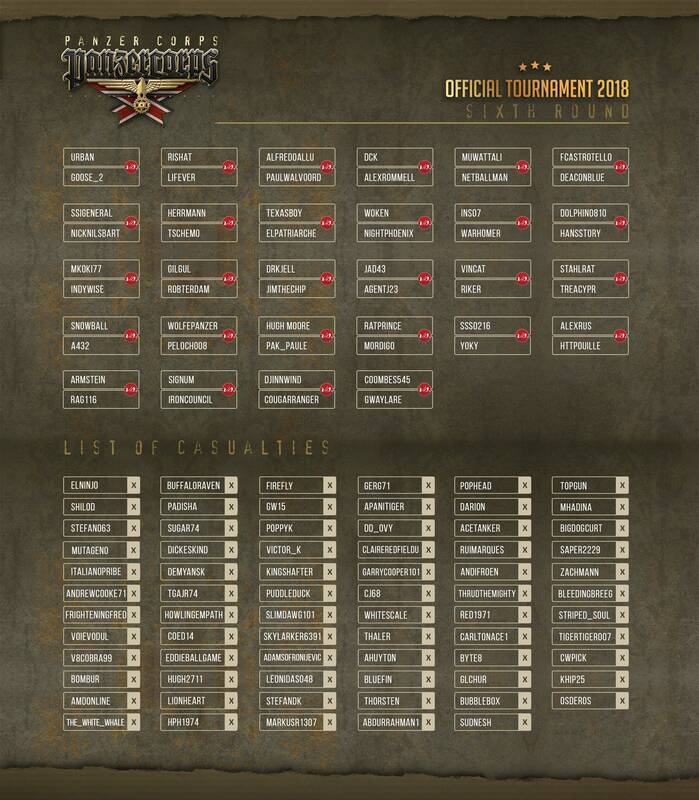 Matrix Games - How is the Panzer Corps Tournament going? Back to News Listing How is the Panzer Corps Tournament going? But let's take a look at how the tournament is going, shall we? 71 players have already been eliminated, and the 48 players who are still in mean serious business! Glory and honour to those who have fallen, but our eyes are all on the survivors. Who will be the last man standing? Want to find out? You can follow the tournament on its official thread!